We use the internet for a lot of things. In fact, we’re a society reliant on its existence. It lets us do everything from communicate with one another across great distances, to catching up on the latest news, to getting into petty online arguments about things we probably shouldn’t waste our time with anyway. The internet of things means we now have more devices than ever before connected to the internet. And even with all of that, a recent study discovered that PS4 digital downloads account for a surprising 2.7% of global internet traffic. That means that 2.7% of everything that anyone does on the internet is centered on the PS4. The data from Sandvine may seem shocking at a glance, but you have to consider how much data is really being downloaded on a PS4. There are digital downloads for games, and then every single patch that comes along to update them. There are online multiplayer games. There are PS4 system updates. When games like Red Dead Redemption 2 are reported to clock in at nearly 100 GB, and many users likely planning to go digital, it starts to paint a pretty strong picture of just why the PS4 cracked the list, making it the tenth largest source of network traffic in the world. Sandvine paints a pretty interesting picture of just how people around the world are using the internet. 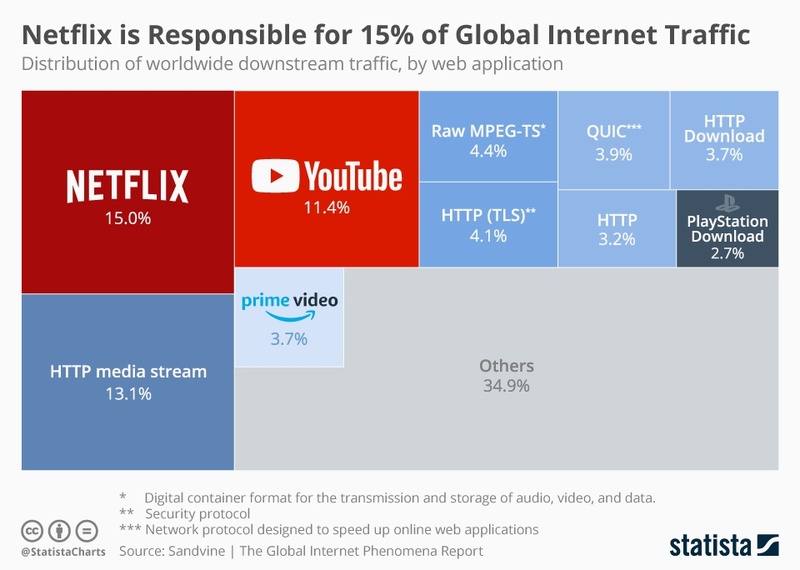 Netflix easily took the top spot at 15% of the total global traffic, and YouTube landed at third with 11.4%. With game file sizes constantly getting bigger and more games having always online requirements and patches, we can probably expect PlayStation’s place to continue rising up the ranks of global internet usage. How much have you contributed to that 2.7%? Do you do a lot of PS4 digital downloads, or do you stick to physical when possible? Let us know what you think of the numbers in the comments below.